Hanumant Inn & Resort is a budget resort in Chopta, Ukhimath. The resort offers its guests a luxury staying experience in its well built comfortabel accommodation. Chopta is famous for its pleasant weather throughout the year. The resort is situated between Ukhimath & Chopta. With its super specialized personal services, the resort can arrange number of adventure activities like trekking, hiking easily. 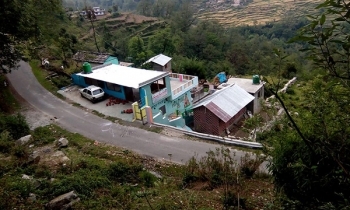 The resort is located near Saari village Bend, at 15 km short of Chopta on Ukhimath road. 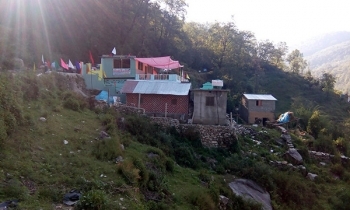 Famous tourist places near Chopta such as Tungnath, Chandrashila, Kartik Swami Temple and Devariya Tal are at few kilometers distance from the resort. Guests can trek to Chopta and nearby hills easily from the resort. The resort provides well furnished 4 Deluxe rooms and 2 Wodden Cottages having all modern amenities attached. Each room & cottage has attach bathroom with Geyser, Cable TV, Double bed etc. Wooden Cottages has carpet flooring and smoking is prohibited in it. The resorts offers pure vegetarian food in its restaurant. Guest can taste local food as well as Rajasthani, Gujarati, Punjabi cuisines. Guests can travel to Chopta by their private vehicle or public transport. It is well connected by road to Delhi (444 kms), Rishikesh (205 kms), Dehradun (245 kms) & Haridwar (228 kms). By Public Transport - One can take Roadways/ Private bus from Delhi to Rishikesh/ Dehradun/ Haridwar. From there, guests can board private jeep/ taxi OR roadways/ private bus to Ukhimath. There are number of sharing taxi services avalaible to Chopta/ Saari Village from Ukhimath.